They're expecting their second child together. 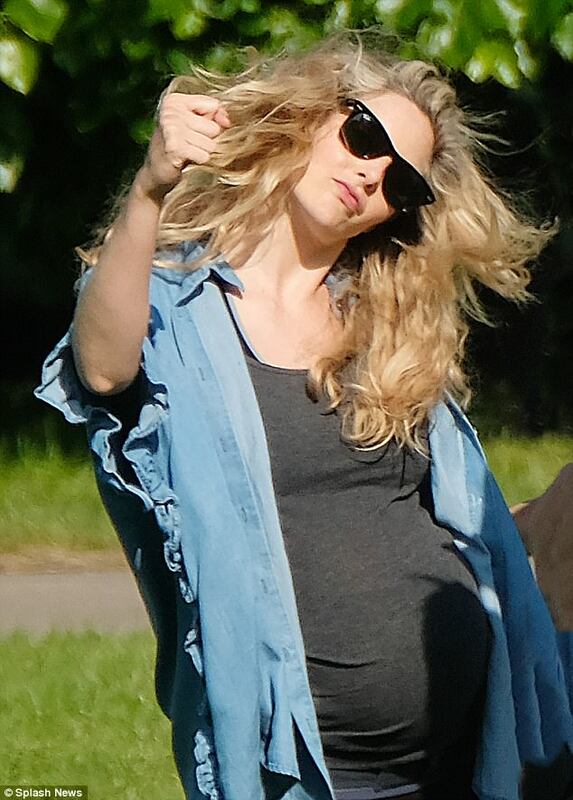 And with not long to go until they become a family of four, Tamsin Egerton, 28, and Josh Hartnett, 38, looked happier than ever as they enjoyed a sunny day in a London park. The besotted couple cuddled up as Brit beauty Tamsin showed off her impressive yoga skills on the grass. Tamsin looked gorgeous in her casual outfit, which showed off her blossoming bump. She layered a loose denim shirt over a grey t-shirt which stretched across her bump, adding a pair of black leggings. Comfy flat sandals and shades kept the pregnant beauty cool in the warm spring weather, while her blonde locks were styled into natural curls. Josh matched his girlfriend in his own casual ensemble, sporting black jeans and a white t-shirt with a baseball cap. Tamsin demonstrated that she's keeping in shape during her pregnancy, dancing around, before at one point settling down on the grass for a couple of stretches. The couple have not publicly confirmed their exciting news - but the actress was overheard discussing her 'pregnancy diet' at the Vanity Fair Oscars after-party in February. The pair, who have been together for four years, announced they had welcomed their first child, a daughter, in December 2015. Last year, Josh spoke about how much he loves being a parent, as announced on the Live! With Kelly and Michael show last year that it had put 'everything into perspective'. 'Your heart kind of leaves your body and you give it permission to walk around with someone else for a while.